All the problems of a film are in the script. When a film is made, the screenplay disappears. When you consider what a scene needs to express, ask: How can the actor act it? When you’re writing a scene, try to act it out yourself. Rather than letting dialogue explain the action, let the action explain the dialogue. It will always be possible to make films. Don’t forget to make cinema. These and other epigrammatic insights flowed easily from Jean-Claude Carrière during his visit to the Cinematek of Belgium and the annual conference of the Screenwriting Research Network. I hope to devote a later blog to other attractions of this stimulating get-together. For now, a brief tribute to the volcanic charm of the legend known as JCC. In the course of his career, JCC has written novels, plays, essays, screenplays, even a scenario for a graphic novel. In the process he became one of the most distinguished and respected screenwriters of the last fifty years. His most famous collaborations were probably with Buñuel, from Belle de Jour (1967) to the master’s last film, That Obscure Object of Desire (1977). He worked with Etaix (The Suitor, 1962), Forman (Taking Off, 1971), Schlöndorff (The Tin Drum, 1979), Godard (Every Man for Himself, 1980), Wajda (Danton, 1983), Oshima (Max mon amour, 1986), Kaufman (The Unbearable Lightness of Being, 1988), Peter Brook (The Mahabarata, 1989), Malle (Milou en Mai, 1990), and Haneke (The White Ribbon, 2007). He has also become known for his work on major French costume pictures and adaptations, such as Cyrano de Bergerac (1990) and The Horseman on the Roof (1995), as well as work with younger directors, including Wayne Wang (Chinese Box, 1997) and Jonathan Glazer (Birth, 2005). His TV scripts are numberless. Directors both young and old come to him for the unique forms of collaboration that he offers. Instead of going off to write the screenplay, JCC meets frequently with the director. (Sometimes the director stays in his house.) He might ask the director to write the script for him, and they go over the result. Through these methods, JCC tries to help the director “find the film that he wants to make.” But his methods are flexible, tailored to the director’s temperament. 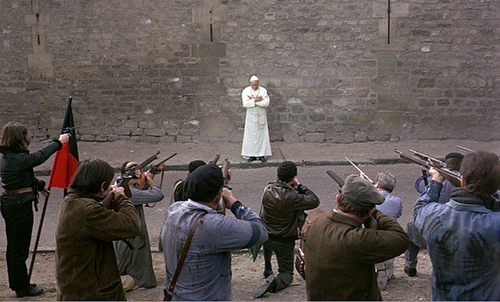 When he was working with Buñuel, the men met daily to tell each other their dreams, some of which wound up in The Discreet Charm of the Bourgeoisie (1972). Similarly, JCC prefers to meet with the actors before production, letting them try out the parts so that he can revise things for each one’s habits of speaking. For Cyrano, Depardieu read the entire play aloud, taking all the parts, and then listened to it over and over on cassettes to refine his interpretation. Brussels gave JCC a busy twenty-four hours. In conversation with the critic Louis Danvers he introduced a Cinematek screening of The Milky Way. He gave a keynote address for the Screenplay Network conference, and he participated in a panel discussion with members of the Flemish Screenwriters Guild at the film school RITS. These sessions ranged freely over his career and his conceptions of filmmaking. He believes that there is a language of film that sets it apart from other arts. That language is grounded in the play of meaning and emotion that comes from putting one shot after another. He explained the point through an example that seems at first to be a restatement of the classic Kuleshov effect. 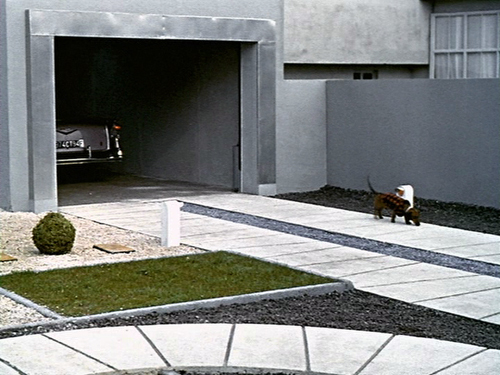 In Shot 1, a man in his apartment looks out the window. Shot 2: The street. A woman is walking with another man. We’ll assume that our man is seeing them. Shot 3: Our man reacts. But contrary to Kuleshov’s dictum, his facial expression should not be neutral. In fact, his expression tells us how to understand the scene. If the man looks upset, we surmise that he’s jealous. If he’s benevolent, we assume that the woman is a friend, his daughter—or a flirt. The filmmaker needs not only techniques like framing and cutting, but also the performances of actors. Now cut to the woman in her bedroom brushing her hair. We need to make sure the audience understands that it’s the same woman, so maybe we have to go back and add a shot to the earlier scene, a closer view of her in the street. This constant flow and readjustment of images is based on guiding the spectator discreetly but firmly through the action. The audience isn’t aware of this “secret film,” but it governs everything the viewer thinks and feels. For this reason, the young screenwriter needs to learn everything about how a film is made. When JCC was acting in The Wedding Ring (1971), a film starring Anna Karina, he learned that simply getting up from a couch can be a complicated matter. When he stood up spontaneously, dipping forward to lift his body, the cinematographer had to correct him: It looked awkward on film. JCC learned that he had to stand up in an unnatural way, with his feet spaced and his back rigid, so that it looked smooth on film. The screenwriter must know that even the smallest moment of action, easy to write in the comfort of a study or a café, is subject to the contingencies of production. 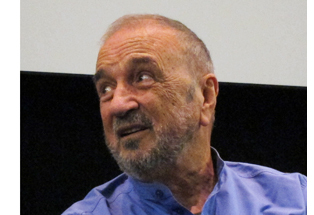 Jean-Claude Carrière turns eighty next week. The best introduction to Carrière’s career and ideas that I know is his book The Secret Language of Film (Faber, 1995). Some of this text overlaps with Exercice du scénario (FEMIS, 1990), coauthored with Pascal Bonitzer. That book is worth reading too, but it hasn’t to my knowledge found English translation. An illuminating interview is here. I assume that you know, by the way, that Carrière appears in a scene of Certified Copy, playing something similar to the “wise old guru” role played by the Turkish taxidermist in Taste of Cherry and the doctor in The Wind Will Carry Us. I did know and should have worked it in! P.P.S 22 September 2011: A panel discussion with Jean-Claude Carrière held during the conference is available here. Although the site is in Dutch, the discussion is in English. Thanks to Ronald Geerts for the information. This entry was posted on Friday | September 9, 2011 at 4:45 pm	and is filed under Film technique: Editing, National cinemas: France, People we like, Screenwriting. Responses are currently closed, but you can trackback from your own site.